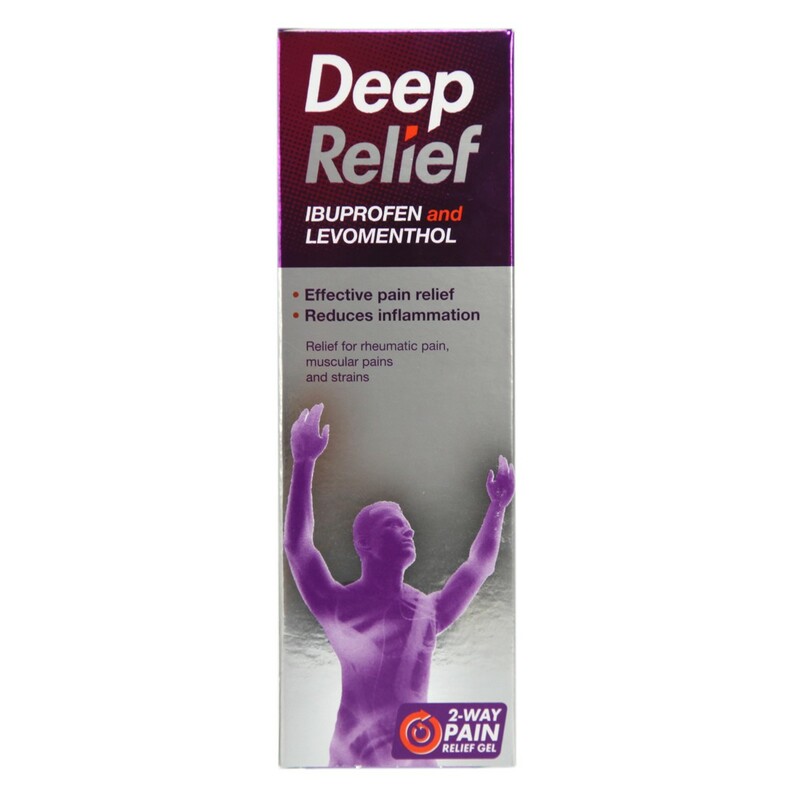 Deep Relief is the first remedy to combine Ibuprofen with Levomenthol. Deep Relief is rapidly absorbed through the skin to reduce inflammation at the point of pain. Deep Relief is effective for the relief of rheumatic pain, muscular aches, pains and swellings such as strains, sprains, backache and sports injuries. Deep Relief is a clear, non-sticky and non-greasy gel with a mild, pleasant menthol fragrance. Ibuprofen 5 % w/w & Levomenthol 3 % w/w. Also contains Carbomer, Propylene Glycol, Diisopropanolamine, Ethanol, Purified water. Adults, elderly and children over 12 years :Apply 1-4cm of gel as a thin layer over the affected area, massaging gently until absorbed up to 3 times a day. Do not use more oftn than every 4 hours. Wash hands after use. Do not use if you are allergic to ibuprofen,menthol, any of the ingredients,aspirin or any other painkillers. Thank you for your interest in Deep Relief Gel. Enter your email and we'll contact you as soon as it's available again.